Femida Handy is Professor of Social Policy at the School of Social Policy and Practice at the University of Pennsylvania and the Director of the PhD program. 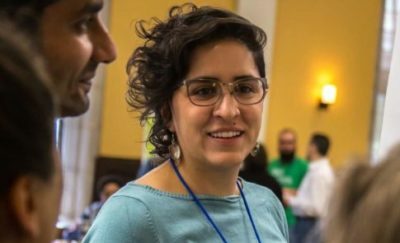 Her research and teaching focus on the economics of the nonprofit sector, volunteering, philanthropy, nonprofit management, entrepreneurship, and microfinance. 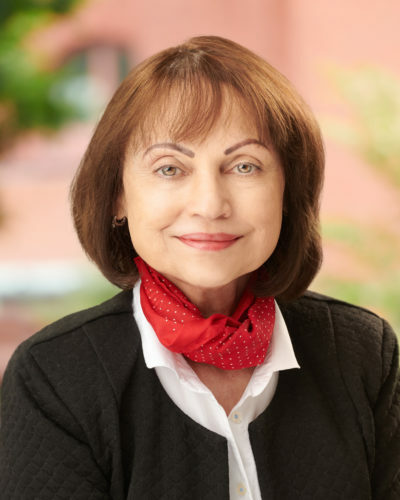 Prior to being appointed as Editor-in-Chief of Nonprofit and Voluntary Sector Quarterly in 2010, the premier journal in the field, she served on the editorial board of several academic journals. Professor Handy has published widely in a variety scientific journals on a variety of nonprofit-related topics, and her work has garnered many awards. 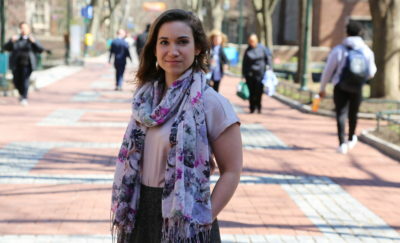 One area of prominence is her scholarship on volunteering and philanthropy, in an international context. Her recent books on philanthropy are The Practice and Promise of Philanthropy in India (2016) and as well The Palgrave Research Companion to Global Philanthropy (2015), which she co-edited. She has also written on environmental issues, including a children’s book that introduces the concept of ecological footprint. 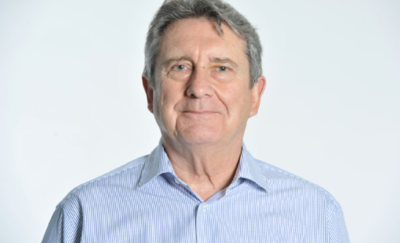 Currently, Professor Handy ‘s research projects include a NIH funded research that investigates if and how autistic youth benefit by volunteering, if and how recent immigrants benefit by volunteering, and a study of the transmission of values and behaviors across generations in three countries. 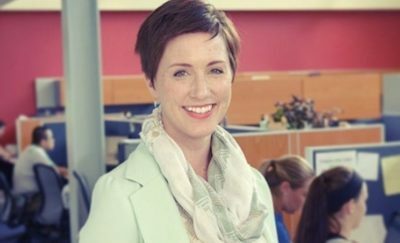 She is also co-authoring a book on ethical decision‐making in nonprofit organizations. Before coming to Penn, Professor Handy was Associate Professor at Faculty of Environmental Studies, at York University in Toronto, Canada. 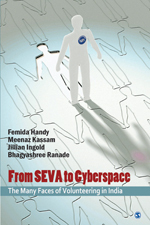 From Seva to Cyberspace examines the phenomenon of volunteering in India from its earliest instances to present-day manifestations. Tracing the origins of voluntary action in India, the authors examine the historic, religious, and cultural traditions of Seva (direct service to others) that have played an important role in inspiring Indians toward voluntary action. The book defines the volunteer and discusses the methods of measuring the value of volunteer labor to NGOs. 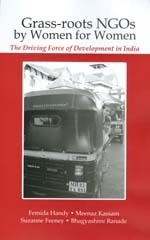 It includes a detailed discussion of the particular contributions of the oldest and youngest volunteers in India. The distinctive motivations and contributions of those with a religious inspiration for voluntary action are explored at length, as are the important issues of service clubs and corporate support for volunteer activities. A unique feature of the book is that it is enriched with narratives and case studies of individuals and organizations that throw light on specific aspects of volunteerism in the Indian context. The book concludes by taking a look at new trends and the strong continuing traditions that inspire modern volunteers to offer their time and talents in the service of society. Sandy and her dog, Pepper, are having a perfect day at the beach until they stumble upon a pile of garbage on the sand. As the girl and her grandfather clean up the mess together, they spot a “monster of garbage,” which turns out to be the Garbage Lady, a woman who walks the beach and picks up trash to recycle. 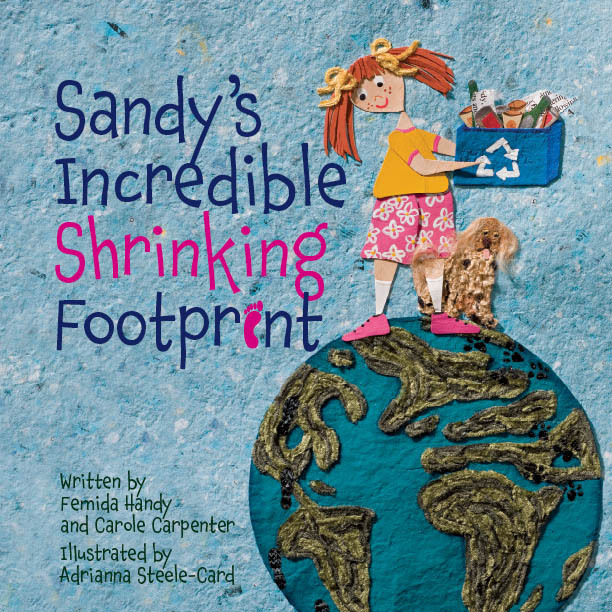 She discusses with Sandy the impact that everyday choices have on our environmental footprint, just like the footprints we leave in the sand at the beach. Back home, the girl talks to her mom about helping the Earth by using “brown bags to wrap things for mailing” and “old egg cartons for storing treasures.” Sandy mentions that her family already recycles a lot, but she, her mom, and her grandfather still sit down together to make a list of other “footprint-shrinking ideas.” The final page features 12 “Ways to Shrink Our Footprints” with ideas like buying things that are made close to home, taking shorter showers, and writing on both sides of a piece of paper. Fittingly, the illustrations feature art that’s made from recycled and natural materials. Though this title makes a strong case for kids as crusaders in caring for the Earth, the plot is tedious and it may lose some readers before the point is made. Based on empirical evidence from first-hand interactions with 20 Indian women founders of NGOs, this book presents a theoretical understanding of the role and impact of NGOs in women’s development. It looks at what motivates and facilitates female entrepreneurship in NGOs, the structures that evolve based on their feminist ideologies, the services they provide and the social impact of these NGOs in promoting the empowerment of women. Katz-Gerro, T., Greenspan, I., Handy, F., & Lee, H.-Y. (In Press). Personal value types and environmental behaviors in four countries: Biospheric, universalism, benevolence, and conformity revisited. Environmental Values. Wang, L., Mook, L. & Handy, F. (In Press). An Empirical Analysis of Formal and Informal Volunteering in Canada . Voluntas: International Journal of Voluntary and Nonprofit Organizations. Shier, M. L. & Handy, F. (2016). Executive leadership and social innovation in direct service nonprofits: Shaping the organizational culture to create social change. Journal of Progressive Human Services 27(2), 111-130. Shier, M.L. & Handy, F. (2016). Cross-sector partnerships: Factors supporting social innovation by nonprofits. Human Service Organizations: Management, Leadership, & Governance 40(3), 253-266. Walk, M., Greenspan, I., Crossley, H. & Handy, F. (2016) Social Return on Investment analysis: A case study of a job and skills training program offered by a social enterprise. Nonprofit Management and Leadership 26(2),129-144. L., Konrath, S., Walk, M. & Handy, F. (2016) Religious and Secular Coping Strategies and Mortality Risk among Older Adults. Social Indicators Research. 125(2), 677-694. Chum, A., Carpenter S., Farrell, E., Mook, L., Handy, F., et al. (2015) Does geographic context influence employability-motivated volunteering? The role of area level material insecurity and urbanicity. The Canadian Geographer / Le Géographe Canadien. 59(3), 354–368. Shier, M. L., & Handy, F. (2015). From Advocacy to Social Innovation: A Typology of Social Change Efforts by Nonprofits. Voluntas: International Journal of Voluntary and Nonprofit Organizations. 26(6), 2581–2603. Katz-Gerro, T., Greenspan, I, & Handy, F. Lee , H. Y. & Frey, A. (2015) Environmental Philanthropy and Environmental Behavior in Five Countries: Is there Convergence among youth? Voluntas: International Journal of Voluntary and Nonprofit Organizations 26(4), 1485-1509. McDougle, L, Handy, F., Katz-Gerro, T., Greenspan, I., Lee, H.Y. (2015) Factors predicting proclivity and intensity to volunteer for the environment in the US and South Korea. Journal of Environmental Planning and Management 58(5) 837-854. Walk, M., Greenspan, I., Crossley, H. & Handy, F. (2015) Mind the Gap: Expectations Versus Experiences of Clients Utilizing Job-Training Services in A Social Enterprise. Annals of Public and Cooperative Economics 86(2) 221–244. Shier, M. & Handy, F. (2015). Social Change Efforts of Direct Service Nonprofits: The Role of Funding and Collaborations in Shaping Social Innovations. Human Service Organizations: Management, Leadership & Governance 39(1) 6-24. Russell, A. Mook, L. & Handy, F. (In press) Interchangeability of Labor: Managing a Mixed Paid and Volunteer Workforce in Sowa, J. & Word, J. (Eds. ),The Nonprofit Human Resource Management Handbook: From Theory to Practice Taylor & Francis. Walk, M.; Greenspan, I.; Crossley, H.; Handy, F. (2016) Canadian Immigrants and their Access to Services: A Case Study of a Social Purpose Enterprise. In: J. Quarter & S. Ryan (Eds. ), Social Purpose Enterprises: Case Studies in Doing Business Differently. Social Economy Centre. Toronto: University of Toronto Press. Canada. Jansons, E. & Handy, F. (2016) Vignette: Philanthropy in India, Gender, Geography and the Scale of Philanthropy In Harrow, J., Jung T. and Phillips, S. (Eds. ), The Routledge Companion to Philanthropy: New York: Routledge. Hustinx, L., Shachar, I. Y. & Handy, F. et al (2016). The Changing Nature of Formal Volunteering: Biographical, Organizational, and Institutional Transformations. Forthcoming in: David Horton Smith, Colin Rochester, Robert A. Stebbins, Jurgen Grotz (Eds. ), Palgrave Research Handbook of Volunteering and Nonprofit Associations. New York: Palgrave Macmillan. Wiepking; P. & Handy, F. (2015) Explanations for Cross-National Differences in Philanthropy in: Weipking, P. & Handy, F., (Eds.) in The Palgrave Handbook on Global Philanthropy. London, UK: Palgrave Macmillan. Wiepking; P. & Handy, F. (2015) The Practice of Philanthropy: The Facilitating Factors from a Cross-National Perspective in Weipking, P. & Handy, F., (Eds.) in The Palgrave Handbook on Global Philanthropy. London, UK: Palgrave Macmillan. Shier, M.L. & Handy, F. (2015). Give India: Web donations in an emerging nonprofit market. In Cnaan, R.A., & Vinokur-Kaplan, D (Eds.). Innovative nonprofits: Organizations that make a difference. Sage Publications. Roza, L. & Handy, F. (2015). The value of volunteering: The economic perspective. In L. Bridges Karr, L.C.P.M Meijs & J. Metz (Eds. ), Volunteering and Youth Services. Essential readings for social work, social policy and urban management. Amsterdam: SWP. p. 53-64.